Rob Gronkowski will not be suiting up in the Patriots' season opener on Sunday against Arizona, according to a report from Mark Daniels of the Providence Journal. It's official, #Patriots downgrade Gronk, Jonathan Cooper and Nate Solder to out for Sunday's game against Arizona. 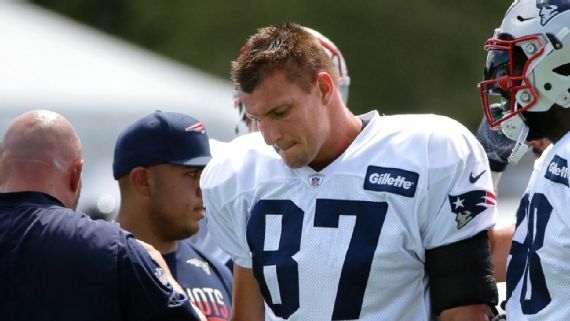 Gronkowski has been limited in practice over the past week with hamstring issues, which have been nagging him since August's joint practice with the Chicago Bears. It had been reported earlier on Friday that Gronkowski didn't make the team flight to Arizona, along with Jonathan Cooper and Nate Solder. Both Cooper and Solder, according to Daniels' report, are out as well. With Gronk out of the picture, expect Martellus Bennett to carry the load at tight end in his Patriots debut. Expect an increased role for Clay Harbor as well, also making his Pats debut. 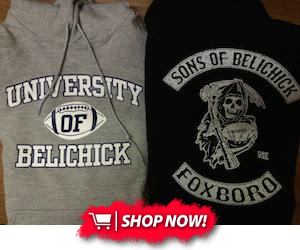 Stay tuned with PatriotsLife as more information becomes available.